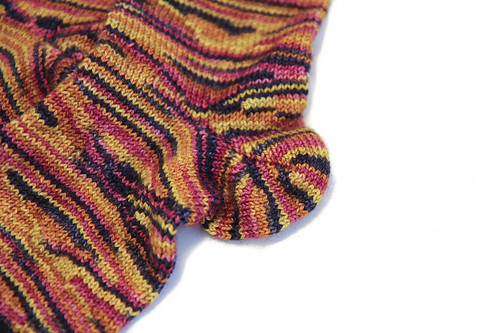 MONKEYS ARE MY FRIEND: Finally Done With Socks! Okay, I'm not 'done with socks' as in never knitting another pair. I don't think I could deal with that. 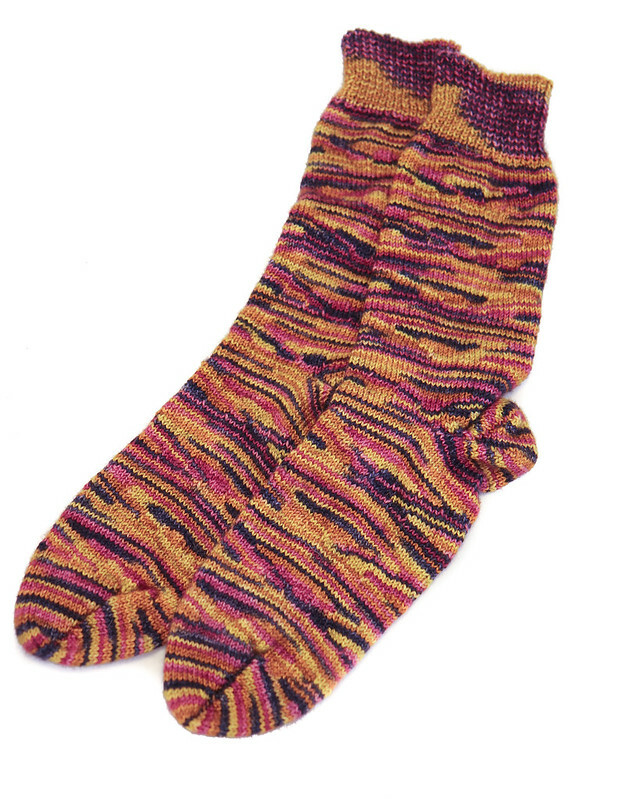 Instead, I mean I've finally finished the pair of socks I've been working on. These took me over a month to do. My average lately has been two weeks so yeah, these took a while. The slowness was a combination of factors, including the fact that I've knit this pattern three freaking times. But mostly it was the fact that I used a smaller needle than normal which created a pretty thick fabric and that combined with the massive amount of purling required, my hands weren't always up to the challenge. But I did get it done and they are obnoxious and lovely! And even more fun, I tried out a new heel - a forked short row heel. It's a neat little heel that fits my high instep, protruding heel bone like a second skin. I'm not sure what big project is up next. I think I need a mini-break from knitting to recover from this pair of socks. Not an actual break from knitting, just a break from knitting serious projects for a few days. Maybe I'll turn out some ridiculous tiny things. I do love that.